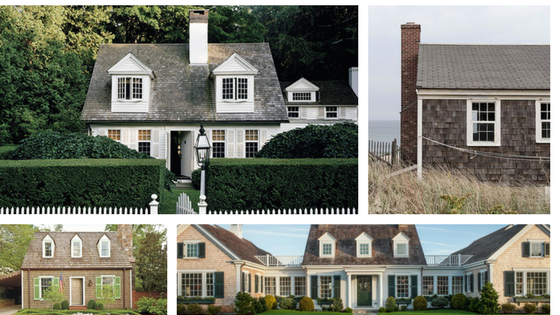 Commonly called Cape Cod style houses or simply, “cottages”, the New England traditional folk house has been around since the 1600s and can be found all over the east coast. The original folk houses were built of heavy timber frames covered in boards or shingles. They are completely charming when care is given to their maintenance and landscaping. Their simple appearance is the quintessential house form everyone learns to draw in Kindergarten. Nostalgic and quaint! Click the image above to check out our Pinterest album dedicated to New England traditional folks houses. Or… Cape Cods!